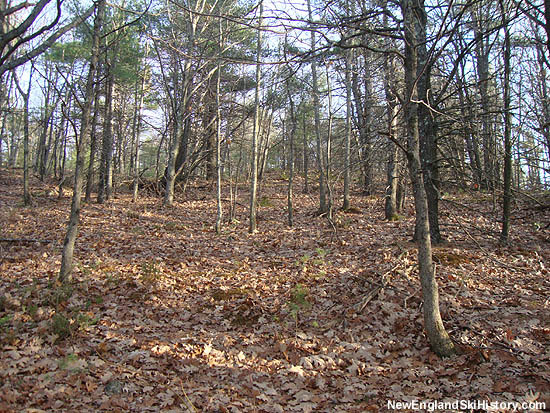 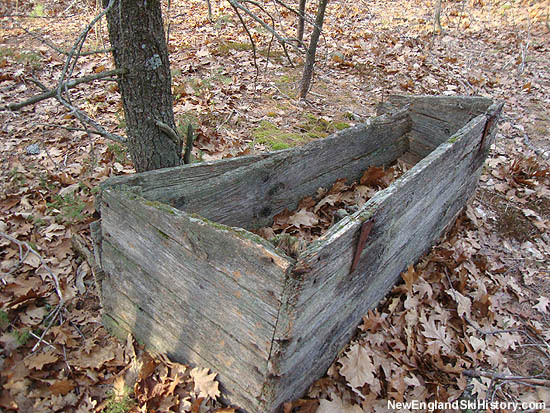 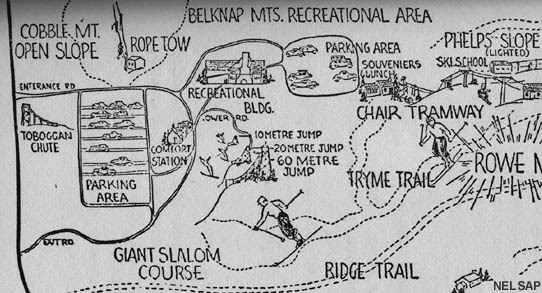 For the 1937-38 season, the peak near the entrance of the Belknap Mountains Recreation area was developed for skiing. 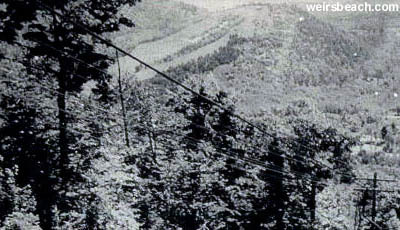 A 1,750 foot rope tow was likely installed for the 1939-40 or 1940-41 season. 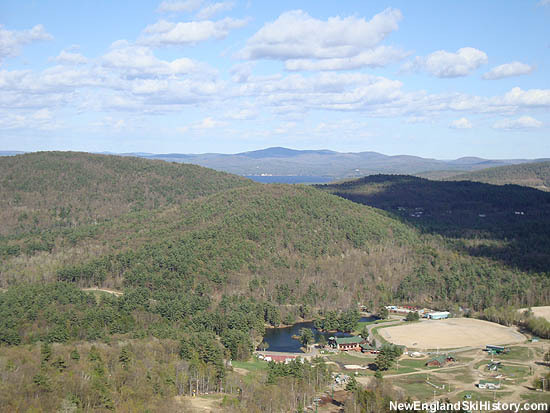 Known locally as Cobble Mountain, the peak offered a fairly gradual but constant vertical drop of about 400 feet. 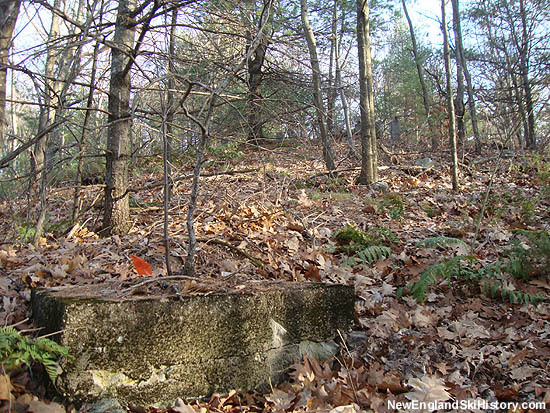 A rope tow ran from near the campground to just below the summit of Cobble Mountain, perhaps to a warming hut. 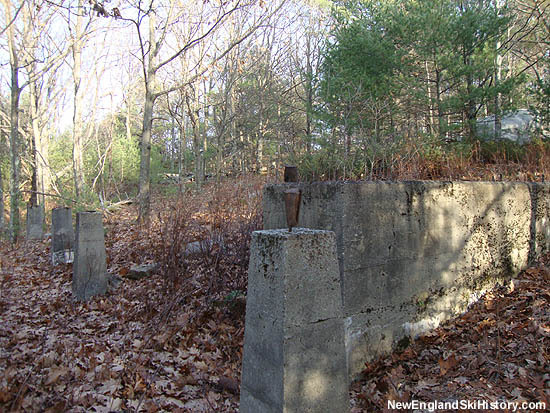 Due to subpar snow retention, as well as not being close to the rest of the ski operations at the time, the Cobble Mountain rope tow was relocated to the Viking slope for the 1941-42 season. 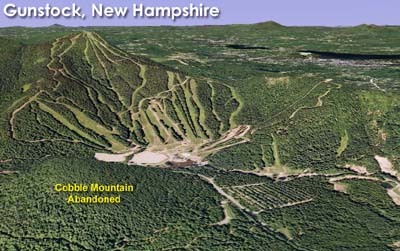 The mountain is now used for cross country skiing, snowshoeing, and hiking.